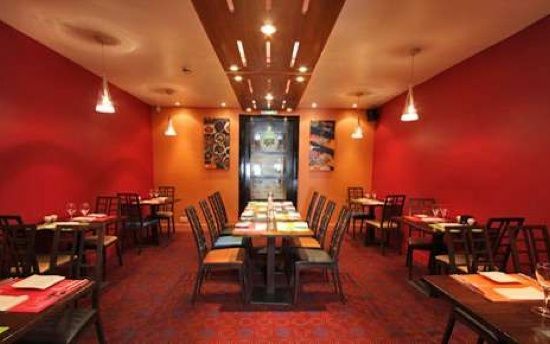 Experience the finest Indian cuisine in Naas served in a warm, welcoming atmosphere. Good and tasty food and friendly atmosphere in the restaurant. Myself and my girlfriend had a lovely birthday meal together at Indie Spice. The food is amazing. I highly recommend the Tandori Sea Bass it is so delicious and flavourful. The atmosphere is very chill and relaxed and super nice. Service is really good, staff are all friendly and very welcoming. Highly recommend for a wonderful night out. Very happy with our dining experience at Indie Spice Naas again, always consistent in food quality and excellent service and is our favourite place to eat in Kildare. Excellent quality food and service, new refurbished restaurant looks great. We had a big office party of 15 people over there last night at Indie Spice Naas. 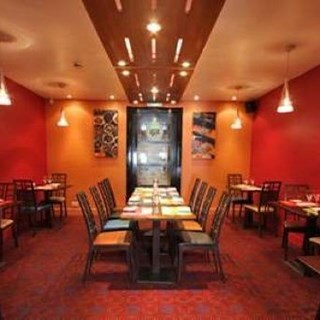 It is a beautiful fine dine restaurant with extraordinary interior. The food was very mild and awesome. The staff was very cooperative and caring. Great service. I highly recommend this place for someone who is looking for authentic Indian food in Ireland. I would definitely come back with my own family. I am originally from India and the Indie Spice is my go to place from now on. It is a little bit expensive restaurant to eat in but definitely worth it. Hope to get some discount next time. Second time we have visited this restaurant, we are very impressed and will definitely be going back. We had a great experience, the service was good and we were well looked after. There was a great selection on the menu and the food was very tasty. We shall be returning! Very enjoyable. Tasty food. Well priced. Hosted my sons confirmation meal to 28 guests, service was fantastic, extremely helpful and very accommodating staff, Many compliments on the food from all guests.